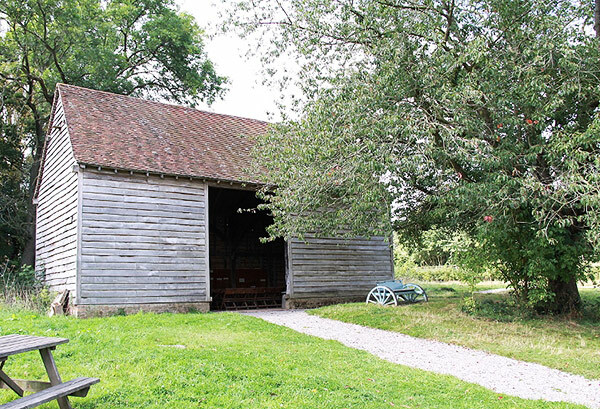 Northolt Barn is located near to the entrance of the Museum. The doors open to a beautiful green area that has a small pond, wagon bench and large wild cherry tree (ideal for hanging decorations and fairy lights). 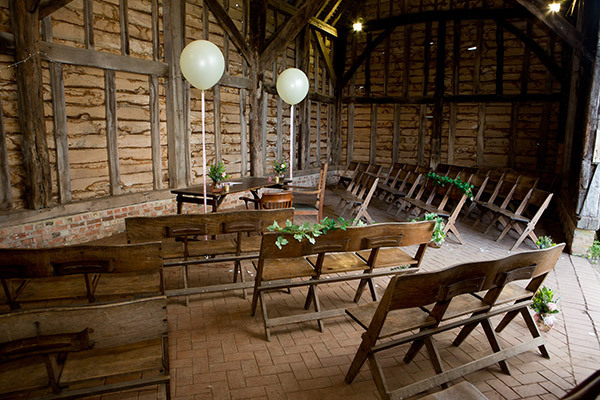 This is the largest of our two wedding barns and can seat up to 78 people for a ceremony and 65 for a seated dinner. 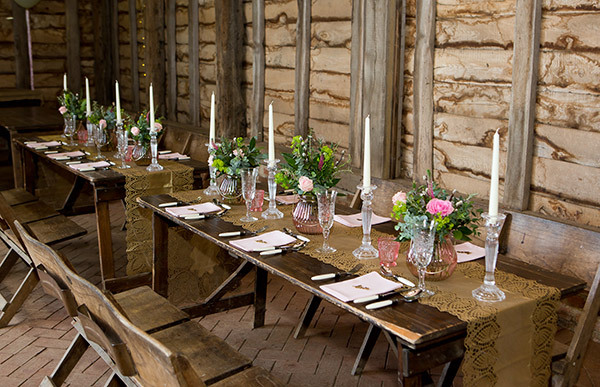 This barn makes a great vintage venue for a rustic barn wedding reception or celebration, and our friendly team at the Museum will help to ensure that your day runs smoothly. 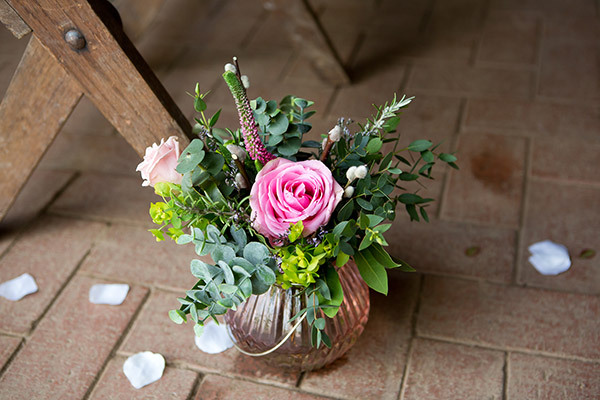 Whilst we are happy to recommend some great suppliers who are familiar with working at the Museum and who we trust to take care of you on your wedding day, wedding couples are welcome to bring in their own suppliers if they would prefer (subject to their meeting our conditions). We hold a premises licence and do not charge a corkage fee. You can enjoy your celebrations until 11.30pm but we ask that all visitors have left the site by midnight. In addition to hiring one of our barns your guests are welcome to explore and enjoy the rest of the Museum. Our collection of historic buildings and unspoilt Chilterns landscape make a spectacular and unique backdrop for your wedding photographs. Chiltern Open Air Museum is open to the public until 5pm. The barn or any buildings that you book will be closed to the public throughout your booking. 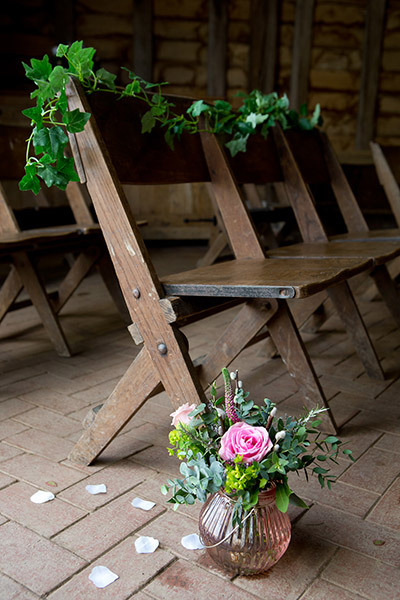 If you have any questions or would like to arrange a time to visit the site please contact our Wedding Team on weddings@coam.org.uk or call the office on 01494 871 117. *All external suppliers must have appropriate risk assessments, insurance and be prepared to carryout a pre-site visit if required. Venue styling by Ambience Venue Styling and images by Helen Light Photography.